Brighten up your rainy days with this unique umbrella design project. Create a beautiful masterpiece which everyone will admire! 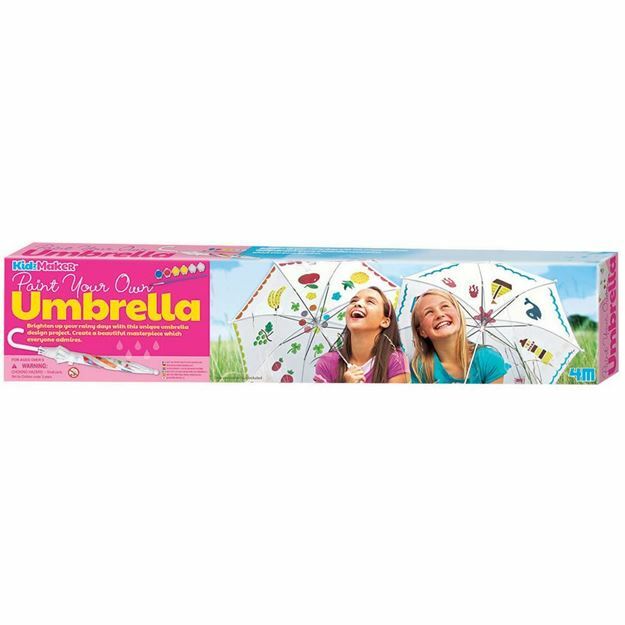 Marine themed stencils and waterproof carft paint to decorate your umbrella your way! Content: 1 x plain umbrella 55cm in length, card stencils, 1 x paint strip, 1 x paint brush and detailed instructions. Age 5+ years. Part of the KidzMaker range. Distributed in New Zealand by Holdson.